I mentioned before, that I promised my friend that I would make her teenage daughter a wallet that also functions as her diabetic case. 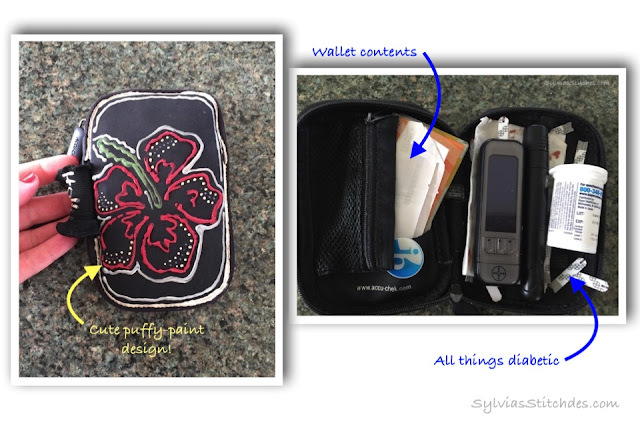 She currently uses her diabetic case to hold her driver's license and cash/cards. 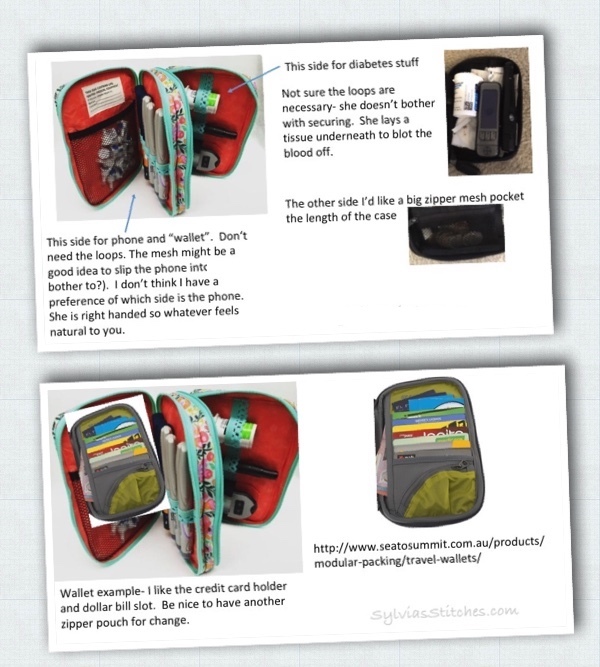 Would be much nicer to have a separate compartment for a wallet, and a separate compartment for her diabetic needs. Unfortunately for me, I am unable to find a pattern for just such a case. So I've been trying to come up with my own design. It has taken me a long time, just because I'm chicken to create the entire thing from scratch. So I thought I share my progress so far.. 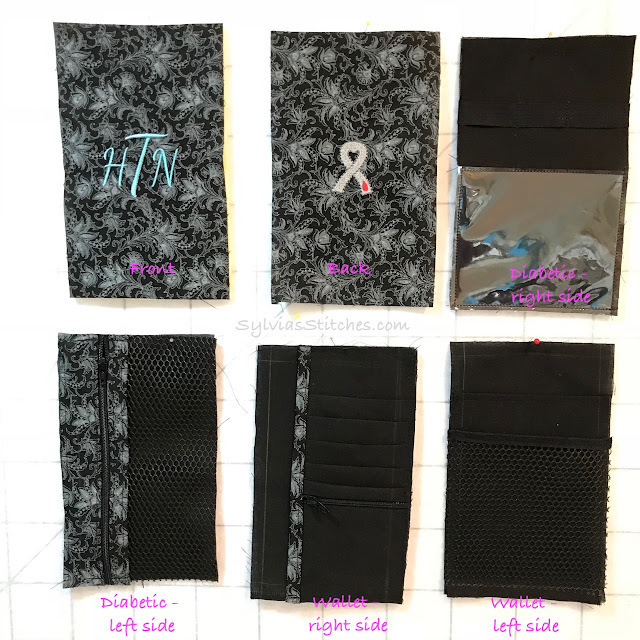 So the first zipper compartment is the wallet. card slots, bill and card slots on right. The second zipper compartment is for the diabetic side. 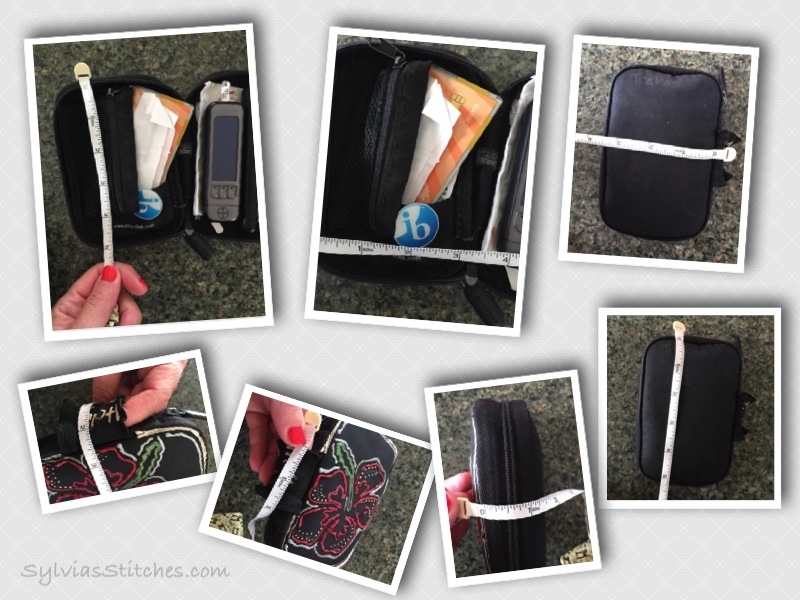 A deep compartment on right to hold meter and needle pricker. Loops to secure not used. She keeps a tissue in there to blot her finger. So that is where it stands at this point. My next hurdle is how to stitch it all together with the two zippers. She also wants the elastic finger loop on the outside as a way to carry the case. No handle or wrist strap desired. Just a finger loop as her original case has. I am sharing this on Work in Progress Wednesdays, and Free Motion by the River. 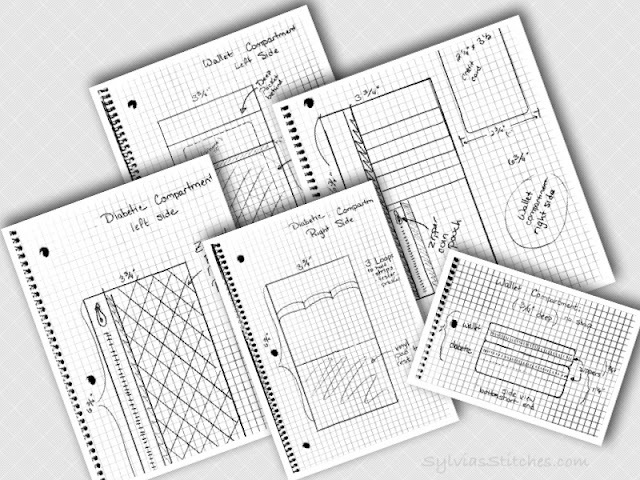 What a great idea, Sylvia. I know your friend's daughter is going to be thriled with the purselet you're making her. Can't wait to see the final.